In the wake of the largest U.S. health care data breach in history, Anthem, Inc., has agreed to pay $16 million to the Office for Civil Rights, which is a record settlement for alleged HIPAA violations. According to the Department of Health and Human Services (“HHS”), the previous high was a $5.55 million settlement paid in 2016. In addition to the monetary payment, Anthem has also agreed to take “substantial” corrective action to help prevent a similar breach from occurring in the future. On July 29, 2016, the Federal Trade Commission (“FTC” or “Commission”) reversed an FTC administrative law judge’s (“ALJ”) opinion which had ruled against the FTC, finding that the Commission had failed to show that LabMD’s conduct caused harm to consumers to satisfy requirements under Section 5 of the FTC Act. In reversing the ALJ, the FTC issued a unanimous opinion and final order that concluded, in part, that public exposure of sensitive health information was, in itself, a substantial injury. The FTC initially filed a complaint against LabMD in 2013 under Section 5 of the FTC Act, alleging that the laboratory company failed to “provide reasonable and appropriate security for personal information on its computer networks,” which the FTC claimed lead to the data of thousands of consumers being leaked. The complaint resulted from two security incidents that occurred several years prior, which the FTC claimed were caused by insufficient data security practices. In its opinion, the FTC concluded that the ALJ had applied the wrong legal standard for unfairness and went on to find that LabMD’s data security practices constituted an unfair act or practice under Section 5 of the FTC Act. Specifically, the Commission found LabMD’s security practices to be unreasonable – “lacking even basic precautions to protect the sensitive consumer information on its computer system.” The Commission stated that “[a]mong other things, [LabMD] failed to use an intrusion detection system or file integrity monitoring; neglected to monitor traffic coming across its firewalls; provided essentially no data security training to its employees; and never deleted any of the consumer data it had protected.” As a result of these alleged shortcomings in data security, medical and other sensitive information for approximately 9,300 individuals was disclosed without authorization. Further, and perhaps more importantly, the Commission concluded that “the privacy harm resulting from the unauthorized disclosure of sensitive health or medical information is in and of itself a substantial injury under Section 5(n), and thus that LabMD’s disclosure of the [ ] file itself caused substantial injury.” Thus, contrary to the findings of the ALJ, the Commission essentially held that the mere exposure of sensitive personal and health information into the public domain may be enough to constitute a substantial injury for purposes of Section 5, without any proof that the information was ever misused. As a result, the FTC ordered LabMD to establish a comprehensive information security program, obtain independent third party assessments of the implementation of the information security program for 20 years, and to notify the individuals who were affected by the unauthorized disclosure of their personal information and inform them about how they can protect themselves from identity theft or related harms. Takeaway: While LabMD has announced its intention to appeal, the FTC’s decision reinforces its role as an enforcer of data security, even in the health care arena, where OCR has been the traditional enforcer of HIPAA and health care data breaches. Thus, in addition to OCR, health care entities must continue to monitor FTC enforcement actions to see if there are any additional or conflicting data security standards mandated by both agencies. Any companies handling PHI should, therefore, continue to ensure that their data security policies and procedures are being implemented and followed in accordance with industry standards. Inadequate security safeguards may contribute to data breaches resulting in government investigations and enforcement actions – not just by OCR, but the FTC as well. For more information about the FTC’s opinion, contact Gregory M. Fliszar or a member of Cozen O’Connor’s Health Law team. Greg focuses his practice on health law and handles a variety of health law litigation and regulatory and compliance matters for a number of different types of health care providers, including hospitals, hospices, mental health providers and physician groups. He has significant experience with HIPAA and privacy issues and has counseled insurance company clients on understanding their obligations under the Medicare Secondary Payer Act. Last June we wrote about the FTC’s enforcement action against LabMD, a medical testing laboratory, which was forced to wind down its business because of the costs associated with challenging the FTC since 2013. Using its broad enforcement authority under Section 5 of the FTC Act, the FTC alleged that LabMD failed to “provide reasonable and appropriate security for personal information on its computer networks,” which the FTC claimed lead to the data of thousands of consumers being leaked. In August 2012, a Physician Group—comprising of nearly 20 physicians—reported its HIPAA breach to HHS, which resulted from a laptop bag containing the employee’s laptop and a computer server backup being stolen from an employee’s car in July 2012. According to the Resolution Agreement between HHS and the Physician Group, the laptop did not contain ePHI, but the portable, unencrypted server backup in the employee’s bag did. The backup contained ePHI for 55,000 individuals. To settle this matter, the Physician Group has agreed to pay $750,000. This is a notable fine for a Physician Group of less than 20 physicians. For more information regarding this incident and HIPAA compliance, including the importance of encryption and risk assessments, contact J. Nicole Martin or any member of Cozen O’Connor’s healthcare law team. On April 27, 2015, the U.S. Department of Health and Human Services (“HHS”) Office for Civil Rights (“OCR”) announced that Cornell Prescription Pharmacy (“Cornell Pharmacy”) had entered into a resolution agreement to settle, without an admission of liability or wrongdoing, potential HIPAA violations. As part of the resolution agreement Cornell Pharmacy will pay $125,000 and enter into a two-year corrective action plan (“CAP”) focused on correcting the alleged deficiencies in its HIPAA compliance program. Cornell Pharmacy is a small, single store pharmacy located in Denver, Colorado that specializes in compound medications and providing services for local hospice agencies. 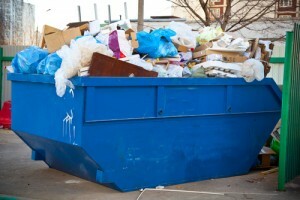 OCR began an investigation into the pharmacy after it received a media report from a Denver news agency that protected health information (“PHI”) belonging to Cornell Pharmacy was apparently disposed of and found in an unlocked, publically accessible dumpster. The documents were not shredded and contained the PHI of approximately 1,610 of Cornell Pharmacy’s patients. After conducting its investigation, OCR concluded that Cornell Pharmacy failed to implement any written policies and procedures as required by HIPAA’s Privacy Rule, and further failed to provide training on the Privacy Rule to its workforce members. This settlement is instructive as OCR again highlights the importance of having updated and comprehensive HIPAA policies and procedures in place, including policies on the proper disposal of PHI, and on training all staff on those policies and procedures. Further, in this year of massive cyber-attacks and other breaches of electronic data, this HIPAA settlement serves to remind covered entities and business associates not to forget about protecting their paper records as well. As stated by OCR in its press release, “Even in our increasingly electronic world, it is critical that policies and procedures be in place for secure disposal of patient information, whether that information is in electronic form or on paper.” As discovered by Cornell Pharmacy, a breach or other improper disclosure of paper PHI can also result in significant consequences. For further information please contact the author, Gregory M. Fliszar (Philadelphia, PA), or other members of Cozen O’Connor’s healthcare team. Health care providers, insurers and all who handle information on their behalf were put on notice last week that cybersecurity must be a high priority for their organizations. Anthem, Inc. (“Anthem”), the nation’s second largest health insurer, revealed on February 4, 2015 that its information technology (“IT”) system was victimized by a “very sophisticated” cyberattack that exposed the birthdates, social security numbers, street and email addresses and employee data (including income information) of approximately 80 million customers and employees. Anthem noted that the hackers apparently did not get any health information or credit card numbers in the attack, but that the hack did yield medical information numbers. Anthem discovered the breach on its own on January 29th and contacted the FBI, which has started an investigation into the matter. 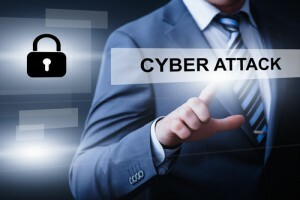 Failure to have robust cybersecurity programs in place can have a devastating effect on any organization that experiences a data breach. Anthem has already been hit with putative class action lawsuits in Alabama, California, Georgia and Indiana alleging that Anthem did not have adequate security procedures in place to protect its customers and it is likely that more suits will follow. In addition to the FBI’s investigation into attack, Attorney Generals in New York, Connecticut and Massachusetts have indicated that they will be reaching out to Anthem for more information about the attack, the company’s security measures and how it plans to prevent future attacks. The Anthem breach was the largest in the health care industry so far and may be a harbinger of things to come. 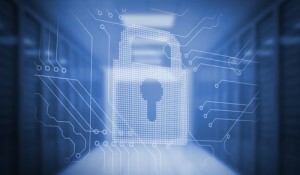 The FBI and other security experts have been warning that the health care industry is a key target for cybercriminals, and a single security incident resulting in a data breach can have significant and immediate consequences that include government investigations, class action lawsuits, and a hit to the organization’s reputation. To manage this risk, we encourage all companies handling health information to create, review and update their data security policies and procedures to ensure that they are doing enough to adequately protect the health information maintained on their IT systems and elsewhere in their organization. To learn more about strategies you can use to manage your exposure, join me at the upcoming panel discussion on “Cybersecurity and Healthcare: The Key to Limiting Your Risk is being Informed” at the Greater Philadelphia Alliance of Capital and Technologies seminar on Thursday, February 26, 2015 in West Conshohocken, Pennsylvania. Click here to register. If you cannot make the event or would like to discuss your cybersecurity needs with me directly, please contact me, Greg Fliszar, at [email protected]. 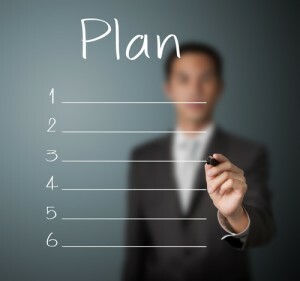 Recently, the Office of Inspector General (OIG) of the Department of Health and Human Services (HHS) released its Work Plan for Fiscal Year 2015 (“Work Plan”). The OIG protects the integrity of HHS programs by identifying fraud and abuse and by suggesting improvements to HHS programs. The Work Plan informs the public of new and ongoing reviews that OIG plans to pursue during the current fiscal year. For Fiscal Year 2015 and beyond, OIG intends to focus on emerging payment, eligibility, management, and IT systems security vulnerabilities in the ACA programs, such as the health insurance marketplace. OIG stated that it would also focus on the efficiency and effectiveness of payment policies in inpatient and outpatient settings, for prescription drugs, and in managed care. 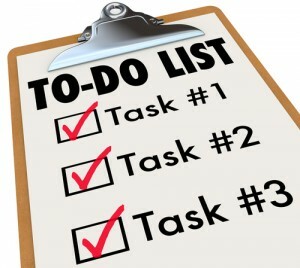 Some specific new items of note include: (1) identifying clinical laboratories that routinely submit improper Medicare claims, (2) reviewing the rate of and reasons for transfers from group homes or nursing facilities to emergency departments as a potential indicator of poor quality, (3) identifying Medicaid MCO payments made on behalf of deceased or ineligible beneficiaries, and (4) assessing the extent to which hospitals comply with the contingency planning requirements of HIPAA. The Work Plan is a valuable resource annually published by the OIG for providers to identify potential compliance risk areas. Cozen O’Connor recently published another blog of the Work Plan with the Work Plan’s specific focus on HIPAA and/or information technology that the OIG will examine and address during Fiscal Year 2015. On October 31, 2014, The U.S. Department of Health and Human Services (HHS) Office of Inspector General (OIG) released its Work Plan for fiscal year (FY) 2015. The Work Plan summarizes “new and ongoing reviews of activities that OIG plans to pursue with respect to HHS programs and operations during the current fiscal year and beyond.” In the Work Plan OIG identified several areas related to HIPAA and/or information technology that it will examine and address during FY 2015. As a new addition to the Work Plan, OIG will determine the extent to which hospitals comply with the contingency requirements of HIPAA. 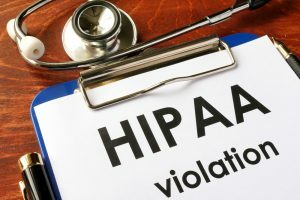 HIPAA’s Security Rule requires covered entities and their business associates to have in place a contingency plan that establishes policies and procedures for responding to an emergency or other event (such as, for example, natural disasters, system failures, terrorism) that damages systems containing electronic protected health information (ePHI). These policies and procedures must, at a minimum, include data backup plans, data recovery plans and plans to continue to protect the security of ePHI while operating in emergency operations mode. In the Work Plan OIG advises that it will compare contingency plans used by hospitals with government and industry recommended practices. As part of the Work Plan, OIG will continue to examine whether the Centers for Medicare & Medicaid Services’ (CMS) oversight of hospitals’ security controls over networked medical devices is sufficient to protect ePHI. The OIG noted that computerized medical devices such as dialysis machines, radiology systems and medication dispensing systems that use hardware, software and networks to monitor a patient’s condition and transmit and/or receive data using wired or wireless communications pose a growing threat to the security and privacy of personal health information. OIG also plans to continue to perform audits of covered entities receiving incentive payments for the use of electronic health records (EHRs) and their business associates (including cloud providers) to determine whether they are adequately protecting ePHI created or maintained by certified EHR technology. In addition, OIG will review the adequacy of CMS’ oversight of states’ Medicaid system and information controls. Prior OIG audits found that states often fail to have in place adequate security features, potentially exposing Medicaid beneficiary information to unauthorized access. As to future endeavors, the Work Plan stated that other areas under consideration for new work include the security of electronic data, the use and exchange of health information technology, and emergency preparedness and response efforts. In addition, OIG advises that in FY 2015 and beyond, it will continue to focus on IT systems security vulnerabilities in health care reform programs such as health insurance marketplaces. Between September 2009 and August 31, 2014, OCR investigated 1176 reports involving breach of Protected Health Information (“PHI”) where more than 500 individuals were affected and approximately 122,000 reports affecting less than 500 individuals. According to Ms. Peters, 60% of the large breaches could have been prevented by encrypting the covered entities and business associates’ laptops and mobile devices. Theft and loss continues to be the most common cause of breaches but OCR expects that IT hacking will continue to rise as a significant breach risk. Since 2009, consumer complaints regarding HIPAA violations continue to rise. Covered entities and business associates should already have in place business associate agreements that have been updated for the Omnibus Rule. Given the known risks of hacking, theft and loss and the direct guidance from OCR, covered entities and business associates must recognize that inadequate security, inadequate physical and technical safeguards is not acceptable. OCR expects that covered entities and business associates will be familiar with recent corrective actions, resolution agreements such as Parkview, NYP/Columbia, Concentra, QCA, Skaget County, Adult & Pediatric Dermatology, P.C., and Affinity Health Plan, Inc.